This article is shared with permission from our friends at The Truth About Cancer. The lymphatic system is one of two major circulatory systems in the body. Its primary job is to move immune cells and dead cellular debris through the body to where it can be removed or reused. A poorly functioning lymphatic system is a risk factor for the development of cancer and other chronic diseases. 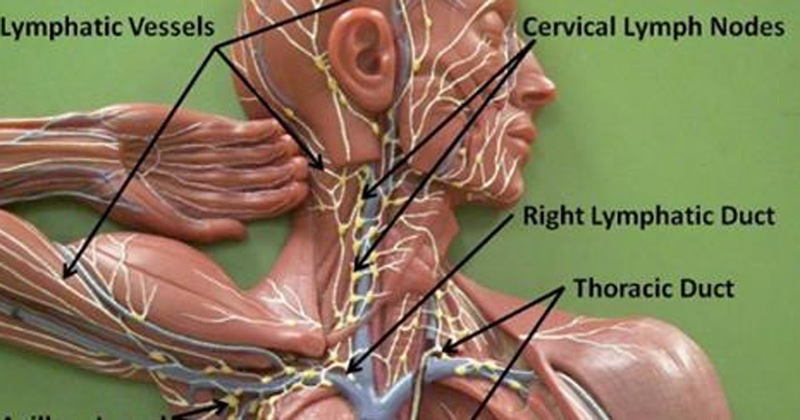 What little you may have heard about the lymphatic system is that it is comparable to drains. When there is a clog in any of the pipes at home you may experience an odor from the sink basin. This is where a buildup of particles such as hair and food become a breeding ground for bacteria. You regularly maintain your pipes in order to avoid a clog, but you should be paying far greater attention to your lymphatic system in doing the same. A congested lymphatic system can lead to serious illnesses and chronic diseases which stem from a weakened immune system. A clog in your lymphatic “drains” can lead to the accumulation of toxins which the body initially tries to remove. Perhaps your symptoms of body rigidity, headaches, bloating, skin concerns, and cold extremities are actually a result of a sluggish lymphatic system that needs improving. A fun way to exercise is by bouncing on a mini trampoline (called a rebounder – seen here) which is often used in sports therapy to help athletes heal from injuries. This low impact exercise is called rebounding. As the body moves against gravity, the lymphatic system is stimulated to pull lymph fluid carrying toxins through the vessels and circulate. Essential Oils: Traditional practices have used essential oils to help the body heal for centuries. The PDQ (Physician Data Query) Cancer Complementary and Alternative Medicine Editorial Board reports that essential oils stimulate healing through neuroimmunomodulation. The use of essential oils strengthens the cancer patient’s immune system by relieving anxiety and stress and improving one’s emotional response. Try lavender essential oil for stress relief. Dry brushing aids the removal of toxins that have built up on our skin. Dry brushing involves using a coarse brush (seen here) to gently be moved along the skin in the direction of the heart. This technique boosts lymph flow by stimulating sweat glands and supporting circulation below the skin. It is critical for individuals with cancer to boost the health of the lymphatic system and detoxify regularly. Removing toxins and supporting lymphatic flow have been shown to decrease the reoccurrence of cancer. One in 5 individuals who have received treatment for breast cancer will be affected by lymphedema later in life. Will you incorporate these detoxification strategies into your daily lifestyle to improve your lymphatic system today?